The Vapir NO2 and Vapir Oxygen Mini both come with one of the best accessories you can ask for, a cleaning brush that works great. The brush is designed to hit every last bit of the blend chamber on both vapes and get any leftover material or build up off of the heating element. 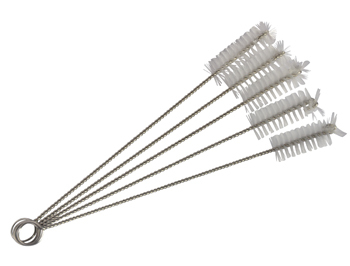 This 5 pack of brushes is sure to last you a long time and keep your vape looking and operating like brand new. These brushes are perfect for use with other vapes as well, such as the VaporBLUNT and Arizer Solo.